Since then, I have developed affection for oysters. But only if they are absolutely fresh. There is such a difference between just shucked oysters still resting in their liquor and somewhat dried out shucked-two-days-ago-oysters. And don’t get me started on thawed oysters (which you should steer well clear of). 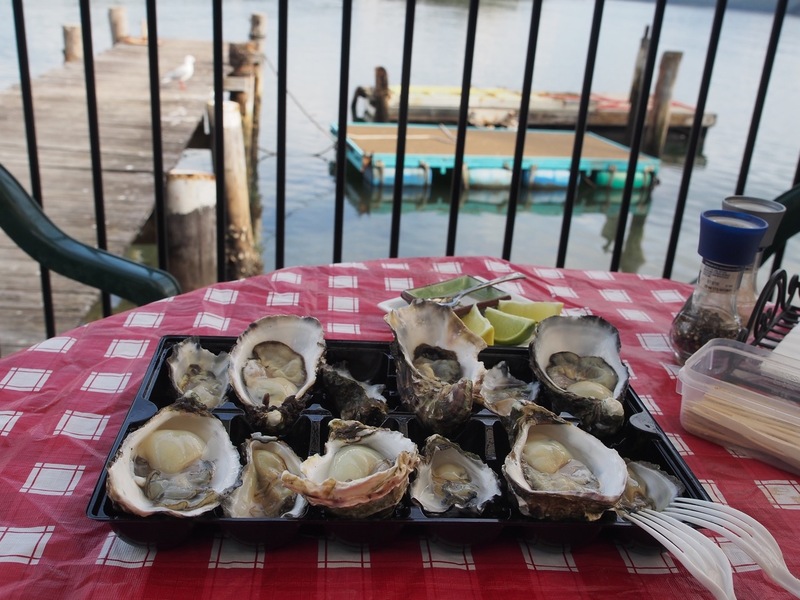 If you are an oyster lover, you’ll want to make a trip to Australia’s oyster trail at South Coast New South Wales. 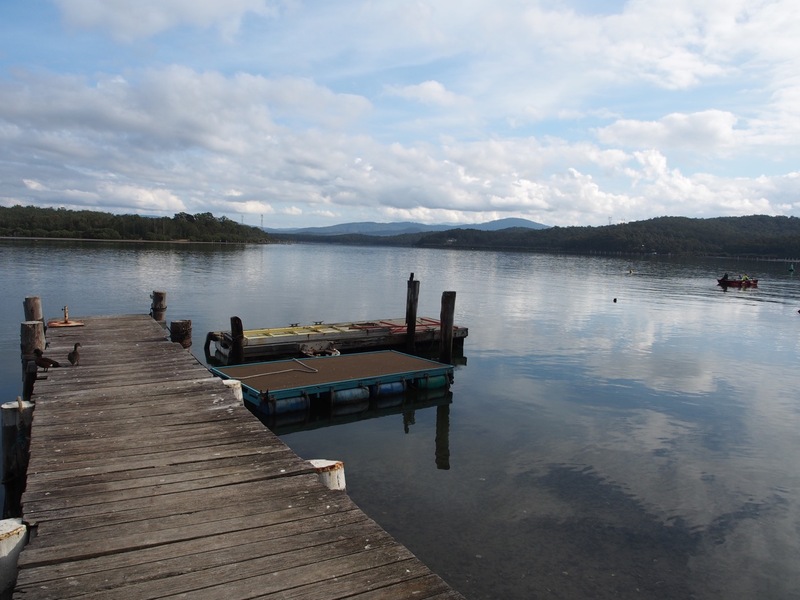 Here, oyster farmers grow plump, sweet oysters along 300 km of pristine NSW coastline. These are sold from farm gates, shops and restaurants. 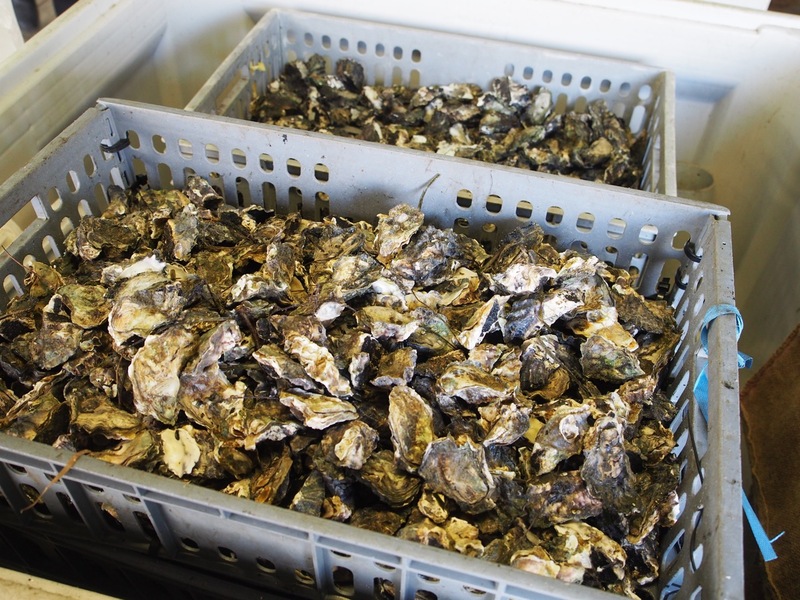 On our road trip up the coast from Melbourne to Sydney, we made a pit stop at Bateman’s Bay, a premier oyster-farming region. 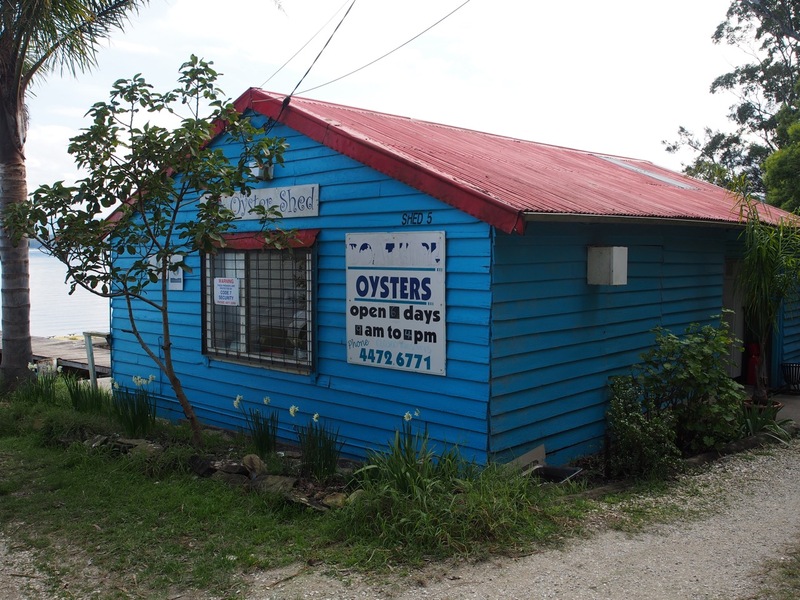 The Oyster Shed is a small shack perched on the edge of the Clyde River where you can purchase just harvested oysters by the bag or the dozen. 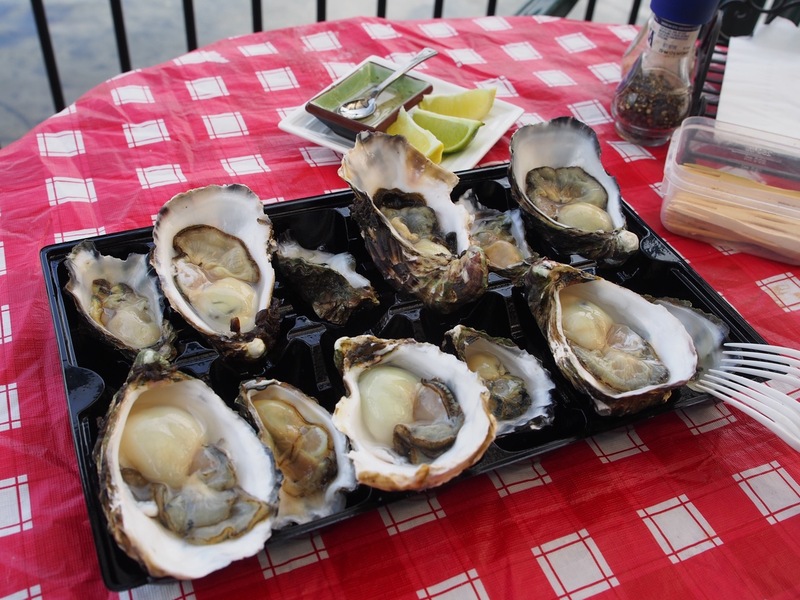 For a couple of dollars more, you can get them shucked and even enjoy them on the deck looking out onto the pier. This is such a perfect oyster eating experience. The Oyster Shed supplies rock and Pacific oysters. The rock oysters are smaller and more intense in flavour. The Pacific oysters range in size from standard to supreme to jumbo to super jumbo (you have to see these to believe them). The proprietors are so friendly, helpful and charming, they’ll put you right at ease with their banter and advice. BL and I shared a mixed plate of half and half rock and buffet-sized Pacific oysters for $14 which came with a small dish of vinaigrette and lemon wedges. Oh wow, these were magnificent. Delicate flavour, and so succulent. Make sure you bring a chilly bin/cooler (or esky if you’re Aussie) so that you can buy a few extra dozens for your next meal. We brought home two dozen standard-sized oysters ($16/dozen shucked) and had an oyster feast back in Sydney. *I’m not sure how long an oyster lives after being shucked.